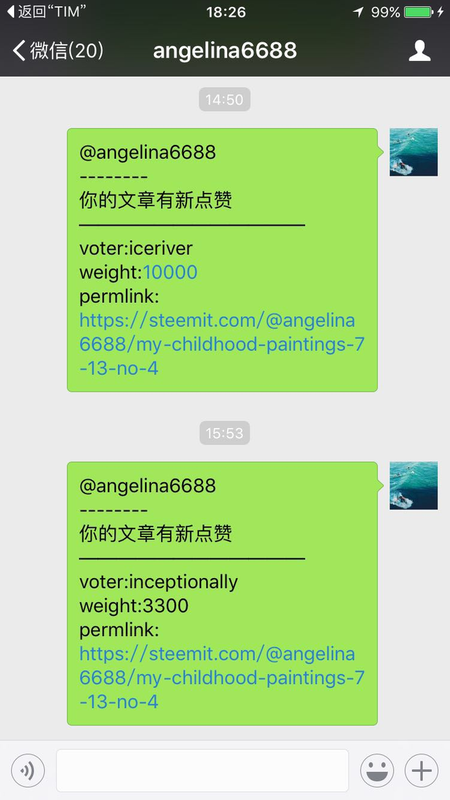 This is a tool that allows you to get a mention message through Wechat application when somebody in Steemit gives a upvote to your post. Always , we do not sit before the computer to view Steemit for all of our time.So it is necessary to have a mention tool which can remind us of the latest new in the Steemit wherever and whenever we are. The project uses a multi thread and the Producer-Consumer as the running framework. Firstly,through the thread of WechatMem,get the member of the wechat group,who are the users will get the mention information of the Steemit upvote. Secondly, while running the thread of Producer to get the latest data the the Steemit block,three threads of Consumer read the queue to get the related data of the upvote. 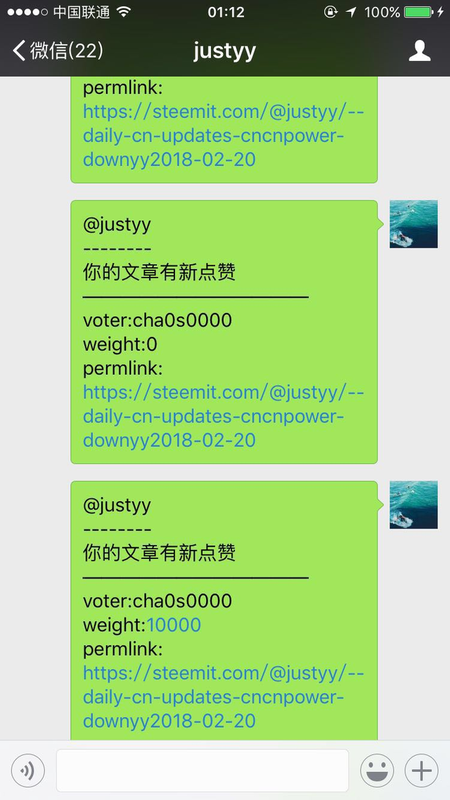 When getting the data related to the member of the group ,the bot will send a direct message to the user in the Wechat application. For installing the Steempython lib , you had better use Ubuntu system instead of Windows system. In the main.py file line 76.Change it with your own wechat group name. 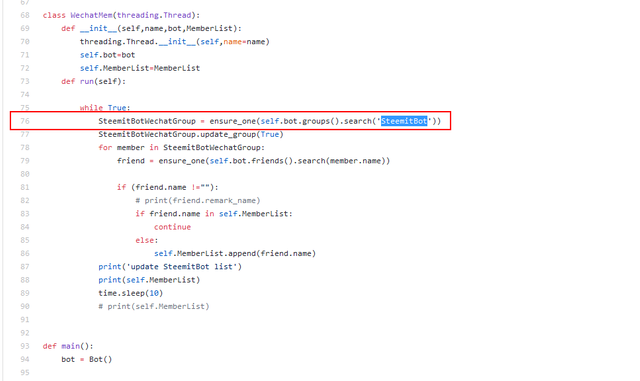 In the main.py file line 52 and 53,Change the type of operation instead of voting leads to receive other type of mention information. Add other types of mention including comments , posts ,transfer , mentions and so on. Build up a front end web UI to record the user,which can lead to automatic operation from front to end. Hey @cha0s0000 I am @utopian-io. I have just upvoted you!